Prayers continue for my brother and his lovely bride. She is still in hospice care right now. My mom says she can feel the peace and strength and calm that the graces from your prayers are providing. Kari loves spring flowers, especially daisies. 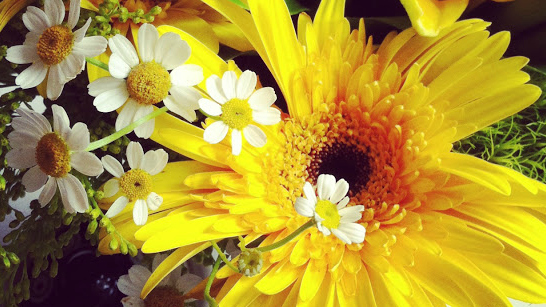 We sent an arrangement to the hospice center on Saturday and called to make sure there were lots of daisies in it. Thankfully, although not yet spring, they had lots of purple daisies on hand. The latest update from my brother last night was that she was resting comfortably and would hopefully be at peace soon. Even though he knows this has been a heartbreaking situation, he believes that God has better plans for Kari. I'm so very sad, this entire situation is heartbreaking. Prayers for all of you! Prayers for Kari and all of the family. I was thinking about and praying for her at Mass this morning. Our prayers are with your family; especially with Kari and your brother. Praying for you all, especially Kari and Brian. I can't imagine the terrible shock of this. My love and prayers are with you all. God have mercy. So terribly heartbreaking. We continue to pray for the entire family. So heartbreaking! Continuing to pray for you all! I'm sorry I haven't commented sooner, but know I'm continuing to pray for Kari and your family. How very hard this must be. More prayers for all of you! 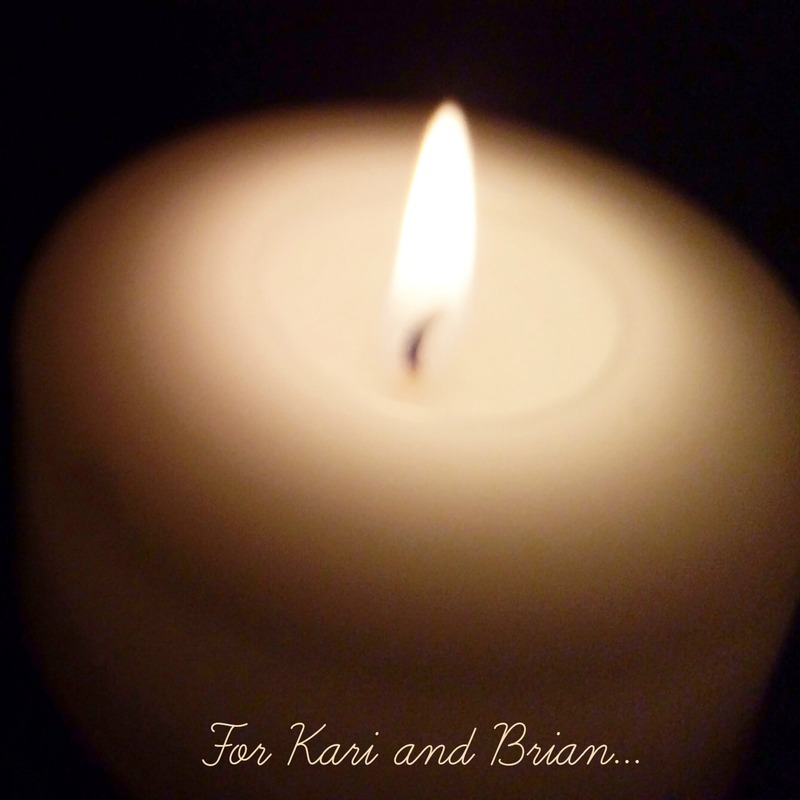 God bless your family, especially Kari and Brian. Praying for both Kari and Brian. Heartbreaking and like everyone said..so sad. thinking of you also.